The commercial availability of IMRT has presented the Radiation Oncologist and Medical Physicist with a new treatment modality to manage and requires a new set of specific instruments. 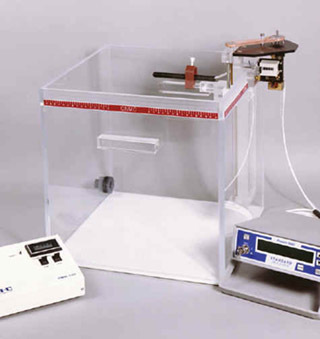 Exradin ion chambers are ideally suited for IMRT measurements. SeeDOS also provides a selection of phantoms for IMRT applications. The A16 Micropoint Chamber at only 0.007cc is designed primarily for applications like IMRT and stereotactic surgery, which use cobalt and higher energy beams. A typical calibration factor for air kerma in a cobalt beam is 3.5 x 109 Gy/C. SeeDOS offers ion chambers for brachytherapy, external beam, orthovoltage, and diagnostic x-ray applications. 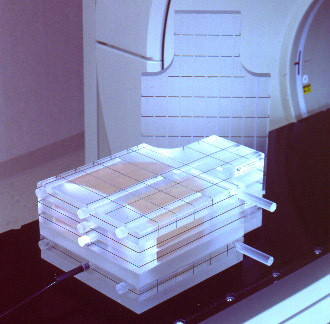 SeeDOS now provides a wide range of the world-famous Exradin ion chambers. For over 25 years, Exradin chambers have provided uncompromising quality, scientific integrity and dependability. Exradin ion chambers are waterproof, fully guarded, and the chamber electrodes are made entirely of homogenous conducting plastic, providing excellent conductivity. For more information on Exradin products click here. 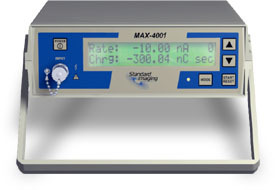 RE-CALIBRATIONS : Re-calibrations are recommended every 2 years for both chamber and electrometers. This recommendation follows that of the AAPM , Task Group 40, published in Medical Physics. 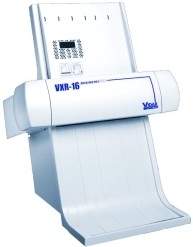 This is not a mandatory requirement, simply a strong suggestion for ensuring nothing has changed in your equipments measuring ability over time. Implementation of TG 51in the USA and TRS398 in Europe, requiring absorbed dose to water calibration factors, presented the need for a new set of water phantoms and ion chamber calibrations. 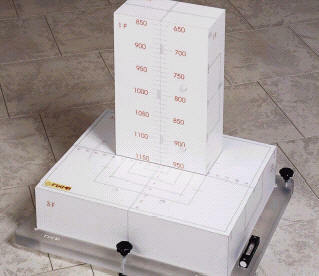 SeeDOS has a variety of calibration systems available for these new applications. We also provide the linac Geocheck-1 system for fast and precise geometric tests of linear accelerators and the Quasar Non Dosimetric QA Beam Geometry and Body Phantoms for performance based verification testing of CT Simulators and Radiation Therapy Planning Systems. A variety of water phantoms, are available, suited to IAEA Technical Report Series TRS398, Codes of Practice and TG51 (USA). Checkmate and MapCHECK provide easy daily IMRT QA checks. A range of conducting plastics for custom phantom creation are also available. Virtual Water is now available and to download the new VIRTUAL WATER PDF BROCHURE please click here. If you are interested in any of the products mentioned here, please fill out an Enquiry Form or Go To the External Beam Radiotherapy / IMRT Product List / Quotation Request Form, so that we may promptly respond to your request.